What is protein and how much do you need each day? This blog came to me when my friend Kerry asked me how much protein she should be consuming each day. Depending on your body composition, lifestyle, and age it can be difficult to decide how much protein you should be getting. This blog explains the physiological breakdown of protein, what protein does for your body, and how you can get the best sources of protein in your diet. Although our body can use protein as a source of energy, providing 4 calories per gram of protein, this is not protein’s primary function. In fact, you want to avoid deficits of complex carbohydrates in your diet, so that your body doesn’t revert to using protein stores as an energy source. So here is a quick physiology lesson (i.e. how protein works in our body). Proteins are components in our body that make up every cell, tissue, and organ. Protein from food provides our body with amino acids. These amino acids help us to build, maintain, and restore body tissues such as muscle, bone, skin, and hair. Look at your skin, you are essentially looking at protein. Supporting our body tissue is the most important job of protein. So basically, when you eat a source of protein, your body will digest the protein into its amino acid components; these amino acids are then stored in your body until they are needed by whatever bodily component may need them. Since protein is constantly being broken down and replaced in our bodies, it is important to get adequate amounts on a day-to-day basis. All together there are 20 amino acids. These amino acids combine to form the proteins that perform the different functions in our bodies. (Remember: amino acids are the building blocks of proteins, not the protein itself…this can sometimes be confusing) 11 of these amino acids are known as non-essential amino acids, meaning our body is able to create them on its own. The other 9 amino acids are known as essential amino acids and they must be provided through dietary sources. A complete protein source (also known as a high quality protein) is one that provides all 9 essential amino acids. Animal based foods such as meat, poultry, fish, milk, eggs, and cheese are considered to be complete sources of protein. You can also combine two incomplete protein sources, such as brown rice and dried beans, together to create a complete protein source from two plant-based proteins. 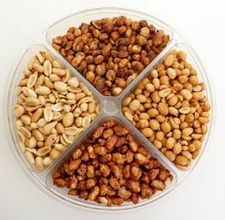 Incomplete protein sources are generally plant-based proteins such as walnuts, almonds, peanuts, beans, and legumes. You actually don’t even have to eat the two foods at the same time, as long as it is in the same day the amino acids from each food will combine to give you a complete source of protein. Try mixing beans, legumes, seeds, rice (all plant-based sources of protein)…experiment you never know what you could make! One thing I always have in my refrigerator is a bean and veggie casserole. I combine 2 tablespoons of extra virgin olive oil with lemon or lime juice and I whisk the two together. I put black, pinto, kidney beans, chic peas, (you can use any legume or bean) and veggies like onion or cucumber in a big plastic container then I pour the olive oil/juice mixture on top and mix it all around. You can add to the bean dish by melting cheese on top or using it as a dip for whole grain tortilla chips. Pair it with chicken for an excellent high quality protein meal. It also tastes delicious by itself. This lasts me at least 2 weeks and is super convenient and filling. Plus, it tastes really good! So good in fact my best friend Christine can’t make it because she literally can’t stop eating it :). In general, 10-35% of your calories each day should come from protein. For women ages 19-70 it is recommended to consume 46 grams of protein each day. For men in the same age group 56 grams of protein is recommended each day. With that said, most people ARE getting adequate amounts of protein in their diet. 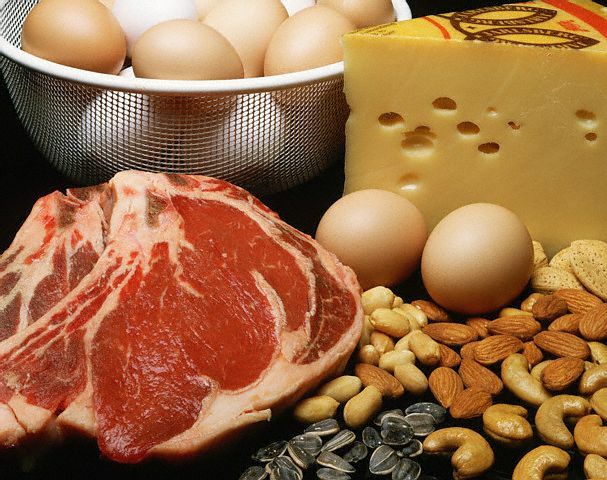 Take a look at some common sources of protein below. A great tool to find out the precise amount of protein that your body needs is the www.choosemyplate.gov. Go here and you can fill out your body stats to see how much protein, carbohydrate, fat, water and other important nutrients you should be consuming on a daily basis. OR…better yet, come get your nutrition analyzed by a dietetics major at UREC!! So how can you choose protein that is healthy yet delicious? Most of you probably already have a good idea of what is healthy and what isn’t, but here are some ways to get the best sources of protein in your diet. Greek yogurt: Greek yogurt is chock full of nutrients including bone-building calcium and protein that boasts twice the amount of protein as regular yogurt (about 13-20 grams). Greek yogurt can be used in so many different ways. It can be used as a substitute for milk, sour cream, butter or margarine when baking. It is also a great snack. My favorite brand is Chobani Greek Yogurt. It contains only natural ingredients and includes 5 live and active cultures, which are good for digestive health. I like to use it in smoothies or eat it as a snack with walnuts or flaxseed sprinkled on top. 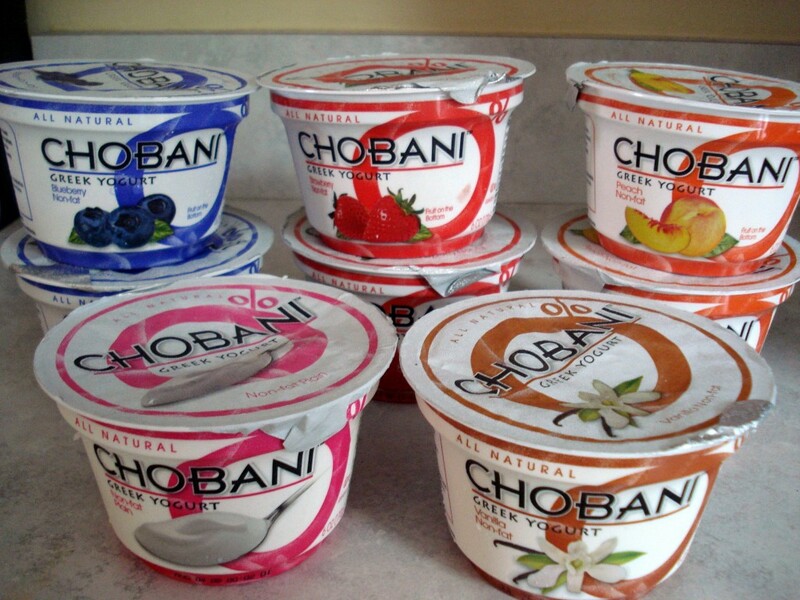 Keep in mind that the plain flavor tastes more bitter than regular yogurt, but Chobani and other Greek yogurt brands offer different flavors like vanilla and strawberry. Animal Protein: The best protein choices when it comes to animal protein are fish and poultry. If you enjoy beef, pork, or lamb be sure to choose the leanest cuts available. If you are eating for a healthy heart (we all should be, doesn’t matter your age), there is evidence out there stating that replacing red meats and processed meats with fish, poultry, beans, or nuts could help prevent heart disease as well as lower the risk of diabetes. My roommate Kelsea and I have a big George Foreman grill. We like to get the skinny tenderloin 99% fat-free chicken cuts from Perdue and then create a healthy marinade to put on top. (google healthy marinades! )This paired with brown rice is an excellent example of a high quality protein and complex carbohydrate meal. good for your arteries (you should try to consume less than 10% of your fat calories from saturated fat). The top five healthiest cheeses include cottage cheese, quark, ricotta, Parmigiano reggiano, feta cheese, and halloumi. Cottage cheese is an unpressed cheese curd, it has the lowest saturated fat content of all cheeses. You should try to get cottage cheese with a low sodium content and try to get the fat-free version (or else it isn’t the healthiest). Quark (weird name I know) is also an unpressed cheese curd and it generally has less salt than cottage cheese. Ricotta cheese is low in fat. Feta cheese and halloumi are both goat or sheep’s milk cheese and therefore healthier cheese choices. Swiss cheese is your best bet when it comes to common every day cheese. It has more calcium than other cheese’s. The worst cheese’s out there include cream cheese (really high fat content) and cheddar cheese (containing as much as 40% saturated fat)! Vegetarian Protein Sources: It is important for vegetarians make sure they get adequate amounts of protein in their diet since they are not consuming animal products. Vegetarians must get their protein from plant-based sources, but we could all benefit from eating more of these foods! Grains: Barley, brown rice, buckwheat, millet, oatmeal, quinoa, rye, wheat germ, wheat, wild rice. Thanks for checking out my blog! I am open to comments about this blog or suggestions for a future blog, follow me and the other UREC nutrition analysts at https://foodurecognize.wordpress.com/ as we write about nutrition and health! Christine Manley’s permission to talk about her love of beans. Great article. Taught me a lot about different proteins that I didn’t know. Thanks!